Welcome to Theme Park Overload! Today we have Part One of our Two Part coverage from the Disneyland Paris Resort! We head to the bustling Disneyland Park to check out the park, along with all of the hot construction sites currently underway with the park's refurbishment prject. Construction walls are unavoidable at the resort right now due to the park's refurbishment projects for the 25th anniversary next year. The construction does slightly detract the park's overall atmosphere, but the long awaited refurbishments will be worth it in the long run. The hotel facade at the entrance is simply stunning. Like many photogenic parks, pictures just don't do the resort justice. The entrance is just one of many unique touches only found at the Paris park. It's nostalgic and modern at the same time, if that's even possible! The castle stays hidden until guests walk underneath the railroad for the grand reveal! The castle is clearly the shining gem of the entire resort, and fulfills its duty as the signature landmark of Disneyland Paris. The mix of hillside and castle towers creates a truly unforgettable view, and you might just find yourself mindlessly gazing at the creation during your visit! Turning to the right, the construction walls continue into Discoveryland. Another park icon, Space Mountain: Mission 2, occupies the majority of this section. 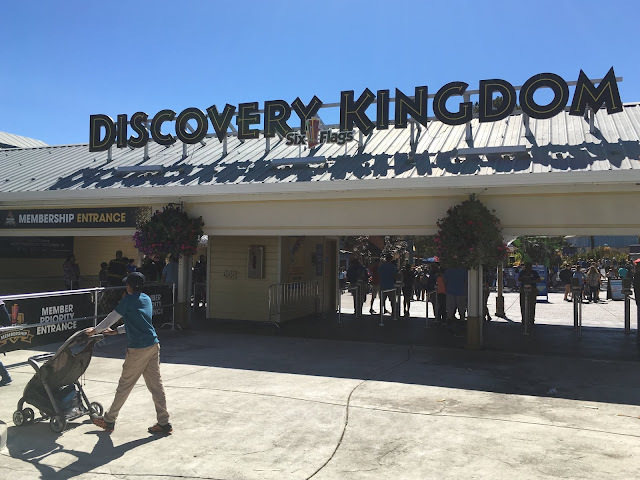 This attraction is generally criticized for being very rough and uncomfortable, but both of my rides on the coaster were enjoyable. The ride is no butter-smooth California Screamin', but the unique take on the Space Mountain theme is refreshing and enjoyable! Around the corner, Star Tours is closed for refurbishment to the next-gen 3D version already found at every other version of the attraction. Well, I don't speak French but....I think it's opening soon! The giant X-wing ship model has been removed from the entrance, and extensive work is being done on both the interior and exterior. Flights to the galaxy will return soon! 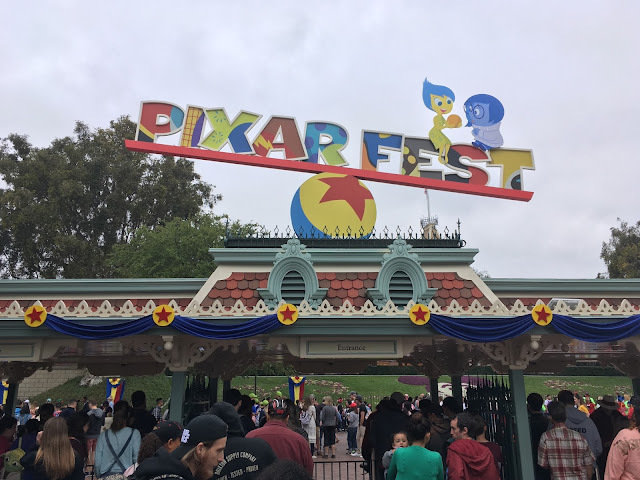 Next door, the new Pixar Short-Film Festival attraction has taken over the Discoveryland theater for guests' viewing pleasure. The attraction is hidden in a corner of the park with little traffic (Due to Star Tour's current closure) so the lack of guests was understandable. Speaking of renovation, Big Thunder Mountain Railroad didn't want to feel left out! Phantom Manor's queue provides a good vantage point on all the refurbishment progress on the attraction. Looks like the track will be replaced as well for a new, smoother ride. I predict that the ride will have many parallels to the version at Disneyland Park in California that was refurbished a little while back, which is a good thing! Exciting new theatrical elements should be on the attraction's horizon! And of course, Adventure Isle had to get in on all the refurb fun. A common theme that I read about the Paris property was the relaxed maintenance and upkeep compared to other Disney resorts. I can confirm, as the little things around the park were not as pristine as other Disney properties. Chipped paint, dated animatronics and props, and more did create an environment that was occasionally below Disney standards. These critiques do lean on the perfectionist end, but are nevertheless noticeable. That is why all the refurbishment projects park-wide are appreciated! I'm sure Adventure Isle will look better than ever in a few short months! Pirates of the Caribbean also provides a fun experience for those who've ridden other versions of the attraction. This attraction has not been updated with characters from the newer films (Jack Sparrow, Davy Jones), so it provides a type of nostalgic ride through the more traditional Pirates experience. Pete Pam's Flight has also recently reopened from a lengthy refurbishment. I can report that the visuals and show elements are crisp and refreshed! A real* (Animatronic) Dragon! Little touches like this really differentiates the park from the rest of the pack. It may be just a quick couple of minutes to stroll through the attraction, but it is a noteworthy treat nevertheless! Moving on, It's a Small World was also another highlight. The attraction's show quality is on par with other versions, and riding through the dedicated "U.S.A." show section is also a nice treat for American visitors like myself! Also nearby, Buzz Lightyear Lazer Blast serves as another example of the little problems with the Paris problem. Little restoration touches like the chipped while paint around the figure's wrist are a reminder of the park's iffy maintenance efforts. This would be fine for any Universal or Sea World park, but the Disney name carries the high Disney standards. Hopefully the park will continue its restoration efforts beyond the 25th anniversary next year to further improve the property! Interestingly, the parade music was solely in English! The French guests were still into it, through! The floats were colorful and carried good show quality. As I said earlier, the parade didn't really have a specific theme to it. Nevertheless, the attraction served its purpose as a highlights reel and was enjoyable! In conclusion, our first visit to Disneyland Park in Paris was a great one. 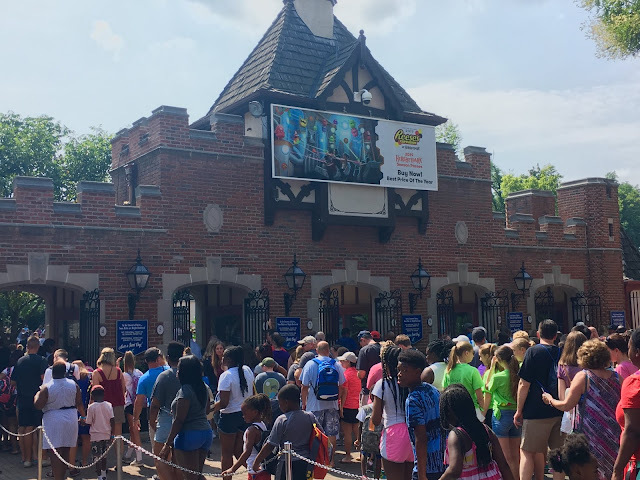 It is easy to get into a routine of directly comparing the property to its American counterparts, but visitors familiar with other Disney properties must try their best to appreciate the park for its own merits. The park has many unique touches only found in France, and is whimsically charming in its own way. With the renewed focus on renovation and refurbishment from the management, I can only expect the park to improve further in the future. That's all for now from Part One of our Disneyland Paris Resort coverage. Special thanks to Mikhael Kissita and the Disneyland Paris media relations department for their accommodations with Theme Park Overload. We'll have Part Two of our coverage, from the neighboring Walt Disney Studios Park, up soon! Make sure to "LIKE" our Facebook Page to be notified of Part Two's release, along with even more coverage from your favorite amusement parks! www.Facebook.com/ThemeParkOverload My name's Nicholous, and Thanks for Reading! Click Here to read Part Two of our Disneyland Paris Resort coverage from Walt Disney Studios Park!